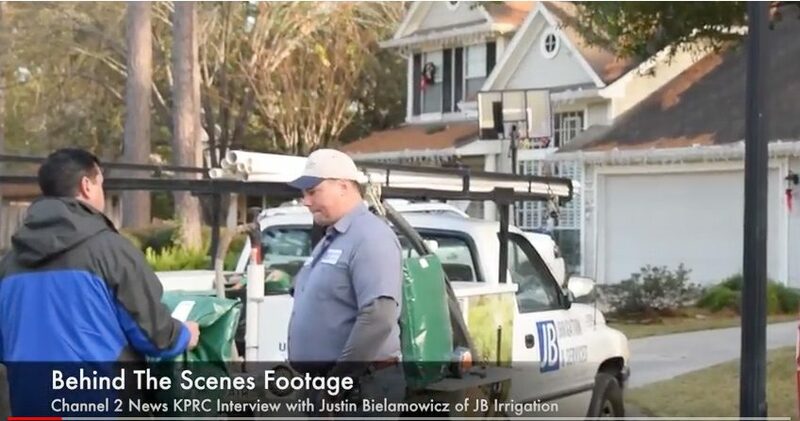 When local media is covering a severe weather threat, like the hard freeze that Houston recently experienced, news reporters frequently reach out to JB Irrigation owner Justin Bielamowicz for expert advice. This short clip shown above is just a brief look at the hours pent with KPRC news reporters covering the freeze. Important sprinkler freeze protection advice was broadcast on the news multiple times and we hope that it saved our fellow Houstonians a lot of money and work that would be required to repair the broken backflow preventers that are typically one of the first things to bust when cold weather hits.